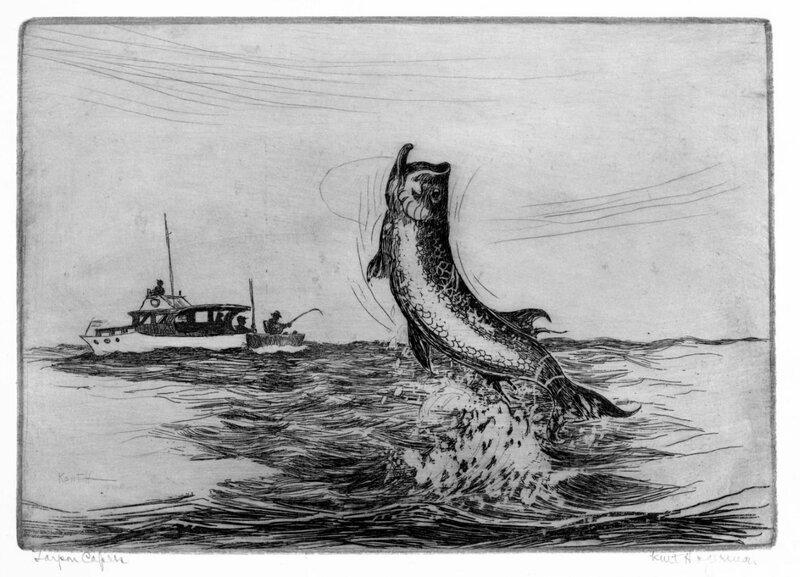 Tarpon Fishing, Kent Hagerman 1893-1978. Courtesy, Sandra Henderson Thurlow. 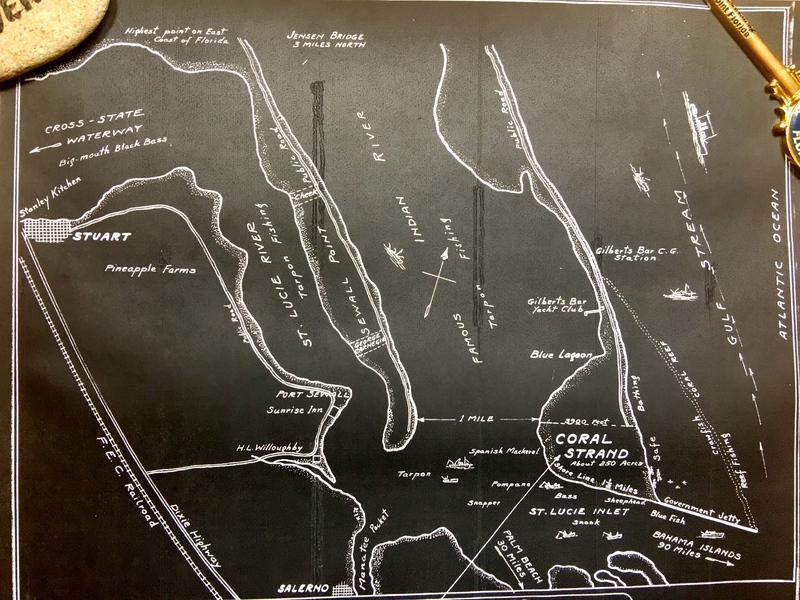 Fishing map of McCoy Bros. SLR/IRL date unknown, notice the extensive tarpon fishing grounds, Thurlow Archives. 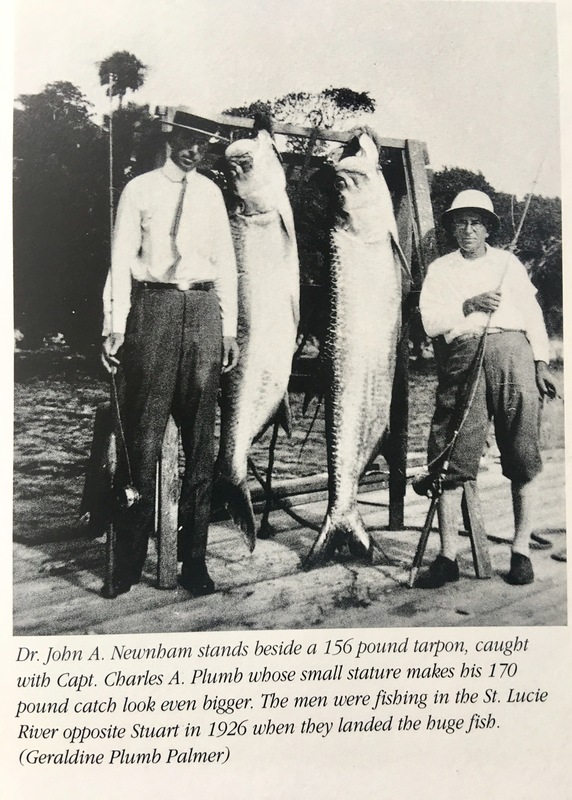 We begin to see how we destroyed one of the most famous and beloved inland fishing waters in North America and how we learned to do better. 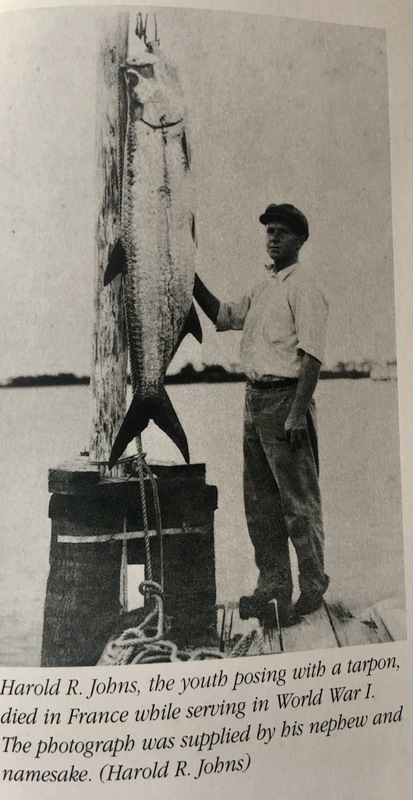 And if we are able, in time, not only to do better, but to return “health and glory” to the St Lucie River/Indian River Lagoon, it should be the tarpon, not the sailfish, that becomes our symbol, our king. 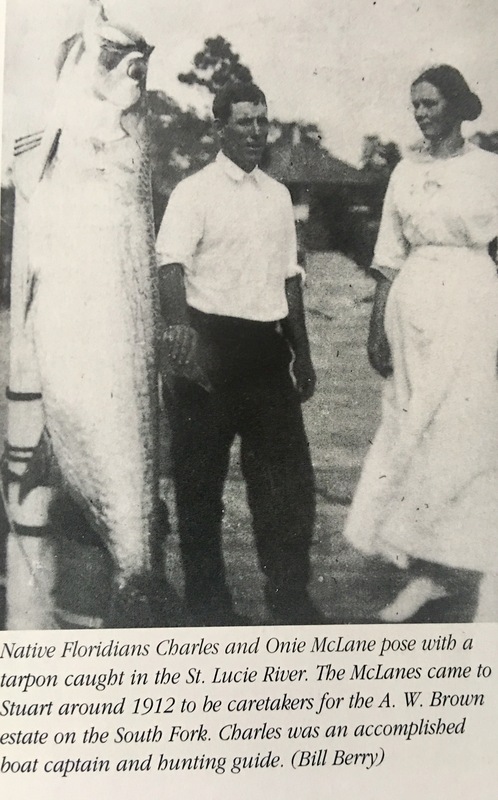 Ironically, at this same time, the Commercial Club, that evolved into today’s Chamber of Commerce, was promoting not just Stuart’s remarkable fishing, but also enthusiastically encouraging and awaiting the completion of the St Lucie Canal. SFWMD canal and basin map. 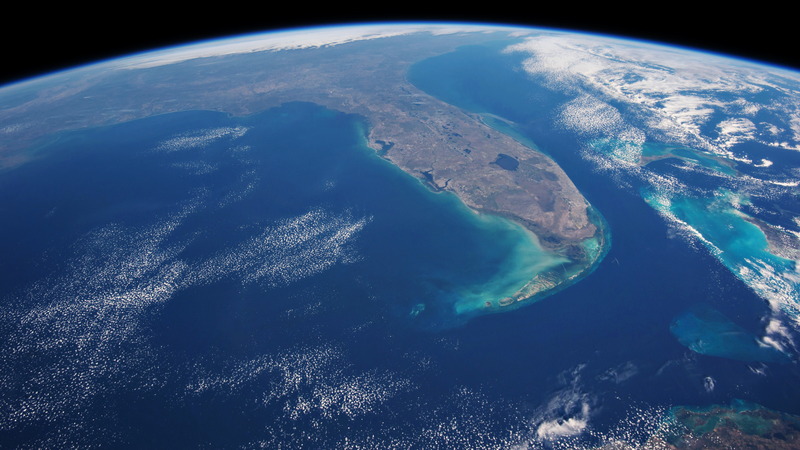 C-44 canal is the canal most southerly in the image. 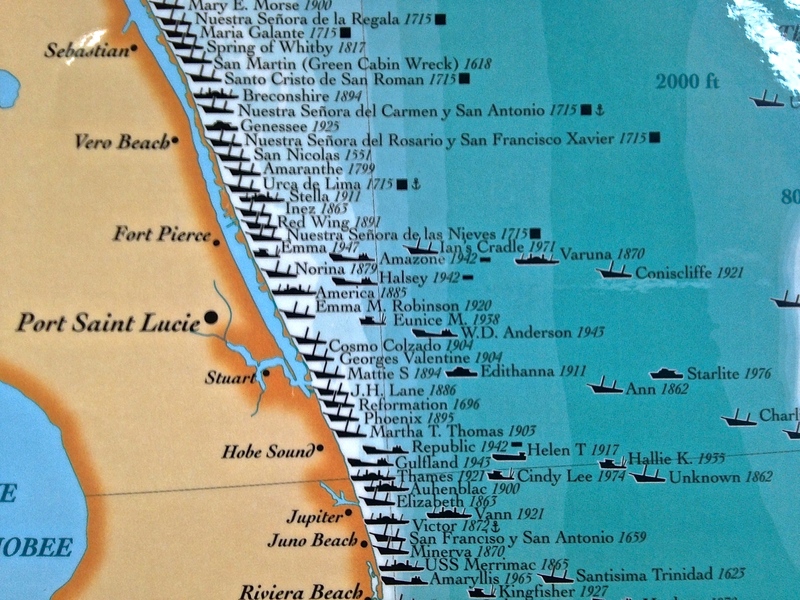 Ingeniously, and with more insight, in the years following the loss of tarpon and other river fish as seen in the McCoy map above, the ocean-going sailfish was marketed to replace the tarpon and become “the most prized fish of all…” as well as in time the symbol for both the city and county governments. 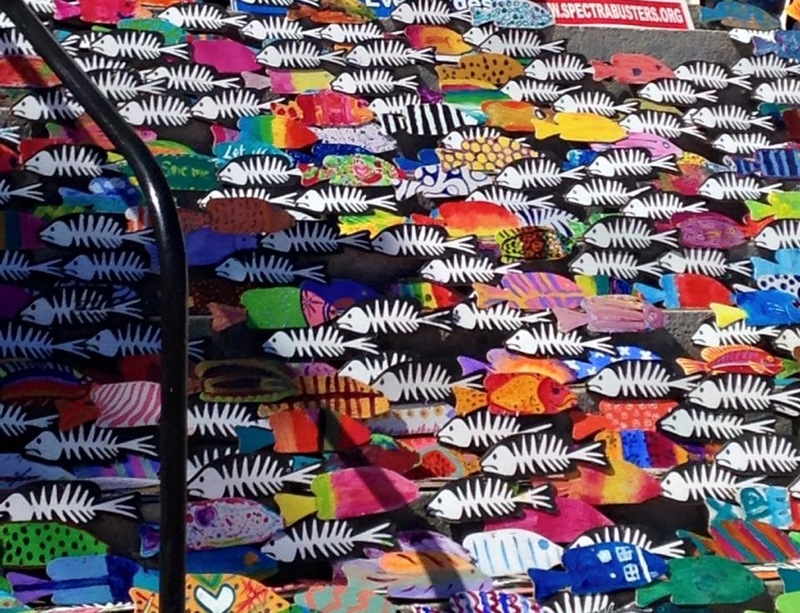 The idea for conservation/protecting the industry had been in the works, the Sailfish Club had been talking about it and a few sailfish were returned to the ocean…. 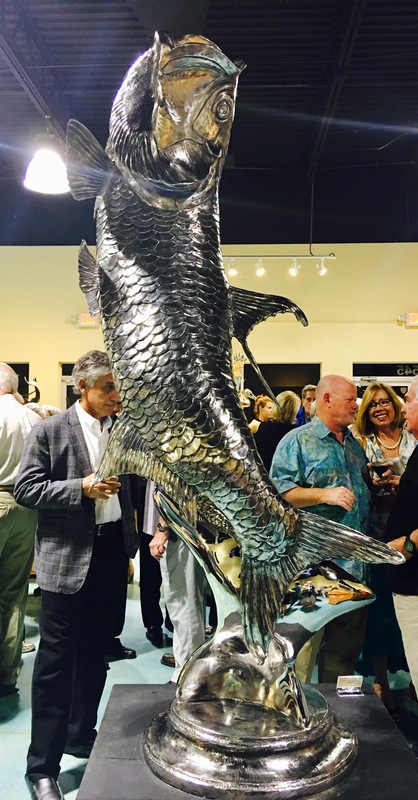 But after the sailfish run of “41, the idea of an organized conservation effort was solidified, and Sailfish Club of ’31 updated their charter in “41 “to further and promote sports fishing and conservation in the waters of the City of Stuart and Martin County.” Visiting sportsmen were awarded and inspired to work for the most coveted bronze, silver, and gold lapel pins based on the size of the sail they caught and released, not killed. 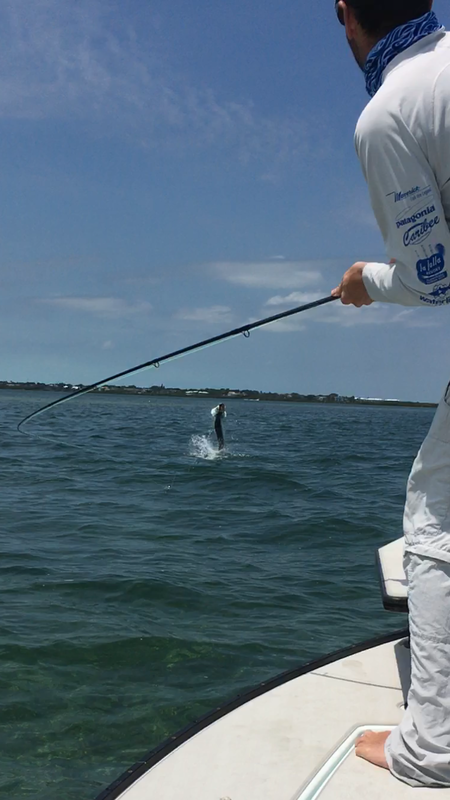 This is a great story, but what of the tarpon? 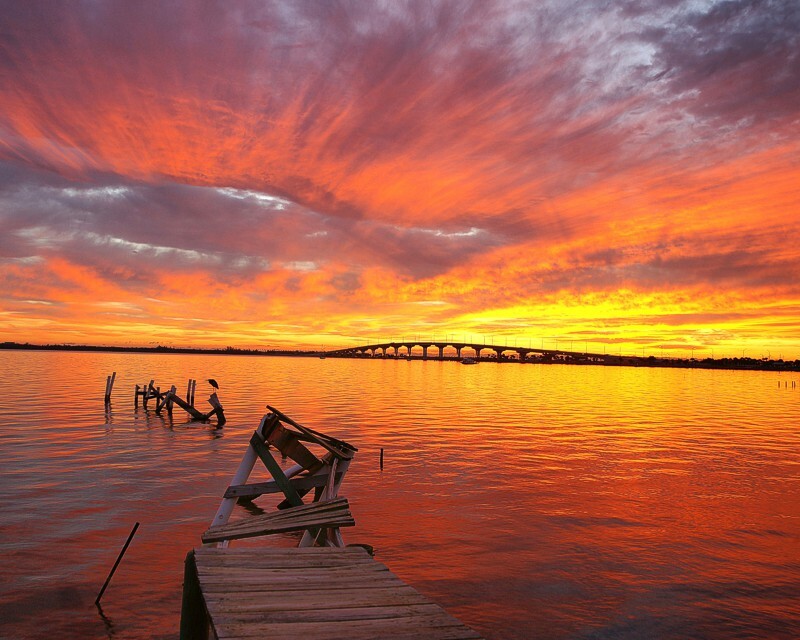 *Thank Thank you to my mother, historian Sandra Henderson Thurlow, whose work in Stuart on the St Lucie served as the basis of this blog post! 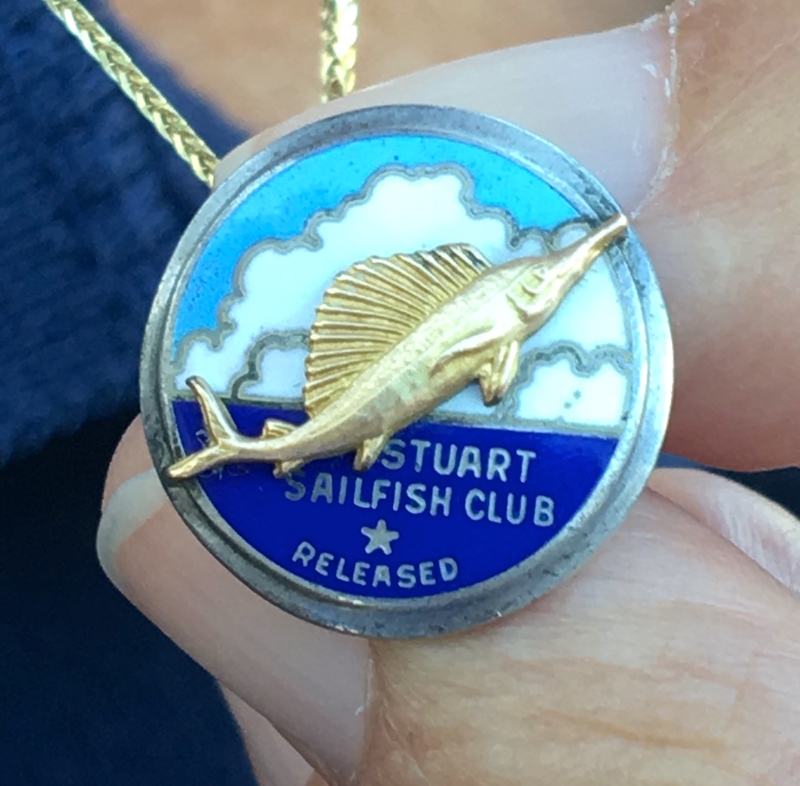 Vintage Catch and Release pin designed by the late Curt Whiticar. Dave Preston of Bullsugar and Silver King, 2017.